There are times you hear something and you think to yourself, “What on earth is that?”. For some of our guests taking a trip on the Swamp Boat Eco Tour that word would have to be bladderwort. It is most certainly a funny sounding word. What does it mean and exactly what is it? Let’s examine the word itself. A bladder is a sack (of sorts) and wort is an Olde English word that means plant. This sounds simple enough, right? However, the bladderwort is anything but simple. Bladderwort is a carnivorous plant that is found in swamps, lakes, and streams. There are hundreds of different varieties of bladderworts but they all function in basically the same way. The bladders are traps that are a part of the underwater structure where the plant catches and processes its food source. Special bacteria and enzymes inside these sacks break down and aid in the digestion of its food. The staple diet of bladderwort includes small animals like; insects and their larvae, water fleas, mosquito larvae, crayfish, and EVEN small tadpoles. How amazing is THAT-a plant that eats animals?! It sounds like something out of a Sci-Fi movie and we have them right here in our swamp! 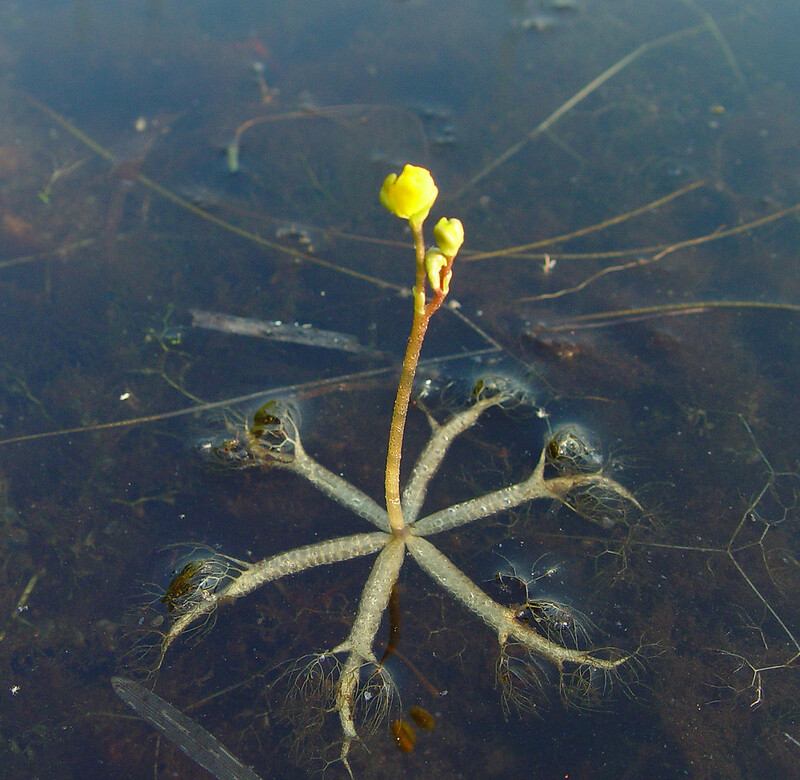 The bladderwort plays another significant role in the ecosystem of our swamp. It provides a place for swamp critters to lay their eggs and shelter for animals like turtles, salamanders, and bullfrogs. While the bladderwort is not the main staple of any creature’s diet, there are a few animals that occasionally feed on them such as wood ducks and turtles. If you take a trip through the swamp in early spring you will likely see “floating” plants with beautiful yellow flowers that resemble snapdragons. These are our beloved bladderworts. In the other 3 seasons of the year, you will see large masses of green “plants” just under the surface of the swamp waters. That is the bladderwort when not in bloom. Why not make a trip to the Swamp to check out these magnificent animal eating plants today? Call or go online to make your reservation. We’ll see you in the swamp!